How to SignIn to Pinterest without Twitter or Facebook? Today we are discussing the most basic matter related to the Pinterest. It’s related to Sign Up to Pinterest. You might be surprised what’s the importance of this post, just to sign in to a social networking account. Pinterest allows you to sign up for a new Pinterest using your existing social networks like Twitter or Facebook. It helps you to sign up for Pinterest, makes the entire account creation process simpler. 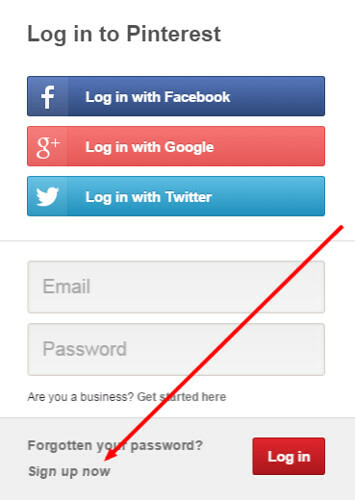 Sign In without Twitter or Facebook remains you independent from your Twitter or Facebook account using Pinterest. If you close or deactivate Twitter or Facebook account, you can continue using your Pinterest account with your email address. 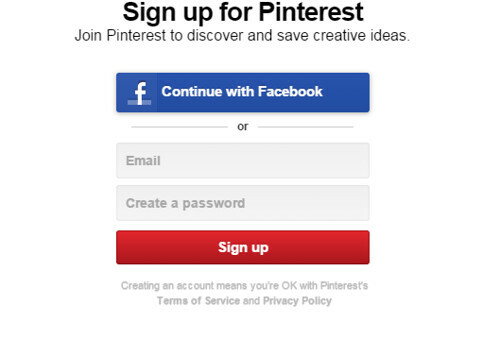 So how to Sign In to Pinterest without Twitter or Facebook? Here are the steps. 1. Go to Pinterest Login. 2. Click the Sign up now link from the bottom. Finally, click the Signup button to create your account. From next time you can sign in to your Pinterest account without Twitter or Facebook.